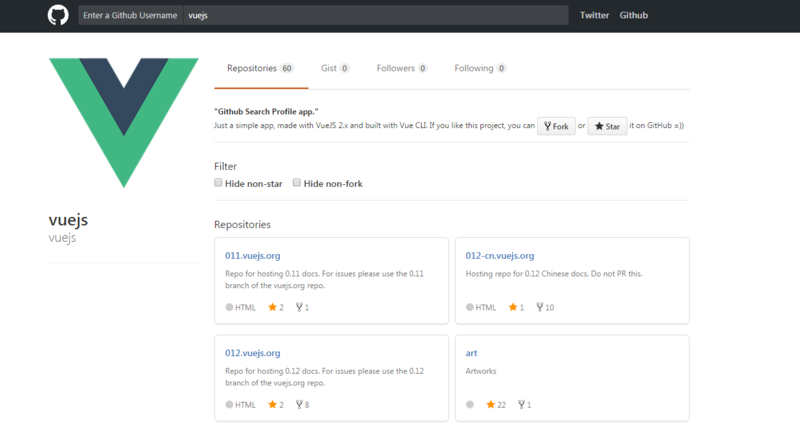 A Github Search Profile application. Made with Vue 2.x and with the Vue Cli. Check out the Demo here. To run it locally head to GitHub download or clone the repo, and change the Github Api Token and build the ./src/App.Vue file. Prerequisites: Node.js (6.x preferred), npm version 3+ and Git.